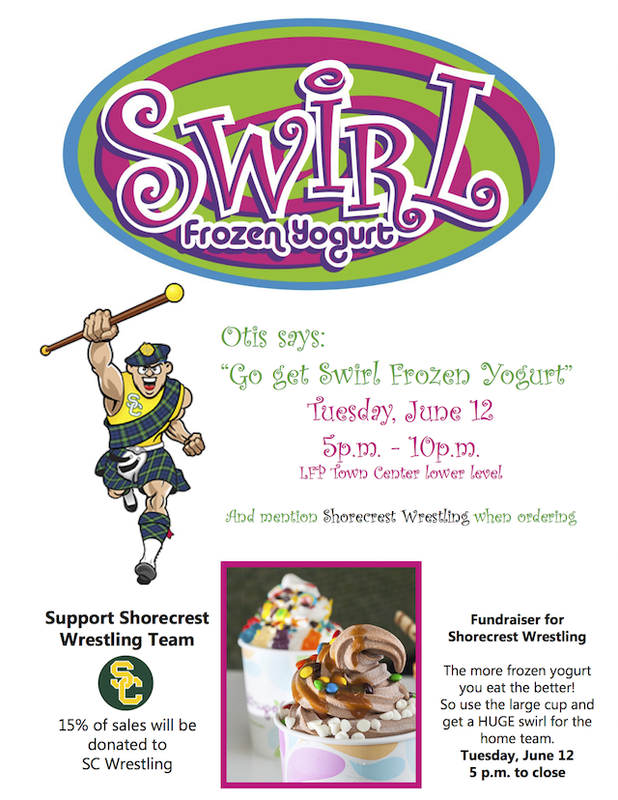 A fundraiser Tuesday night at Swirl in Lake Forest Park will support the Shorecrest Wrestling Team. Funds raised will help send everyone who wants to go to wrestling camp this summer and for general supplies needed for the team's success in the coming year. 5 to 10pm at Swirl Frozen Yogurt, at the very end of the lower level of Town Center Lake Forest Park, intersection Bothell and Ballinger Way.